Want to send a large file, or know when someone downloads your file? Send an attachment with download tracking enabled in. 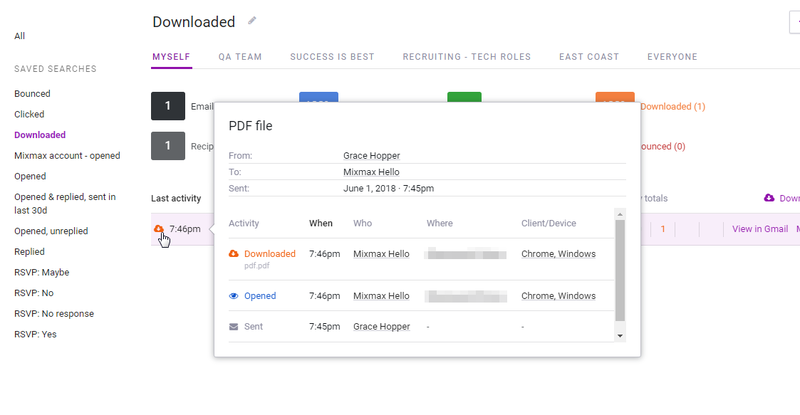 Tracked attachments are automatically hosted in the cloud, and your recipient can download them whenever they want. Download tracking is available on the Small Business plan and above. Files are uploaded and downloaded over encrypted connections. 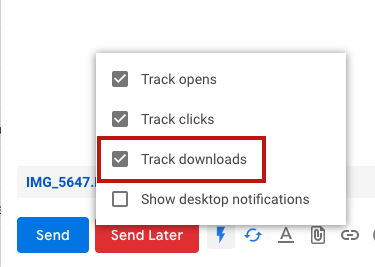 For an individual message, hover over the lightning bolt icon in your compose window and make sure 'Track Downloads' is selected. When you add an attachment, you'll see an indicator that it will be tracked once it is sent. Please note if you upload any attachments greater than 25MB in Mixmax 2.0, they will be uploaded to Google Drive associated automatically. 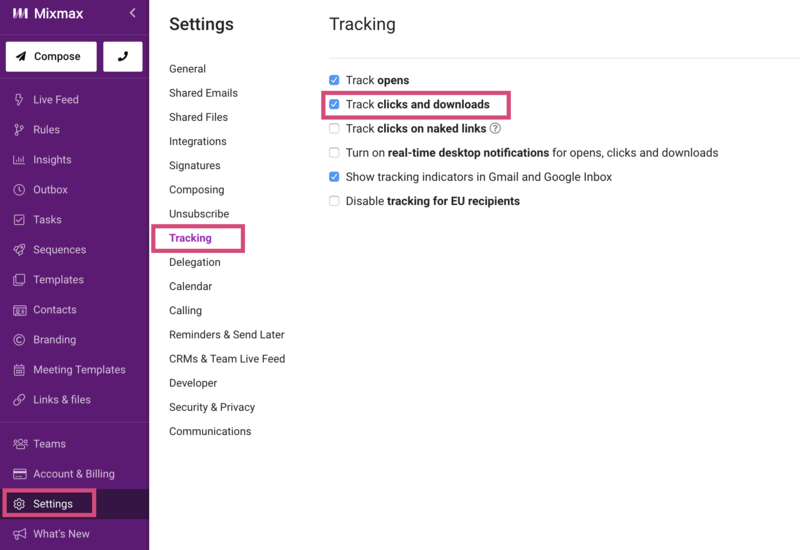 Note that whenever you drag and drop images or GIFs onto an email, they'll always be added as traditional attachments, so your recipients can see the content directly in the email. Traditional attachments cannot be tracked for downloads.